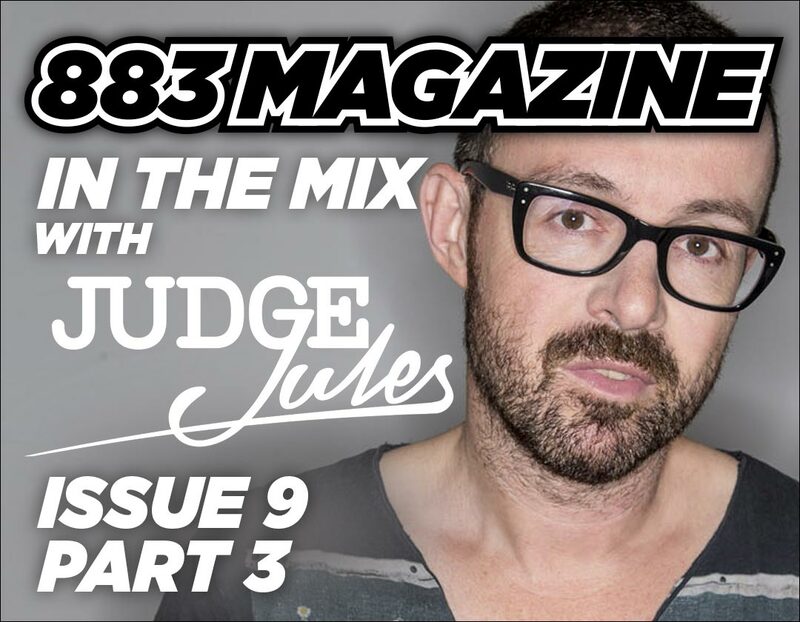 Judge Jules said: ‘Judge Jules Live was an idea I came up over a year ago. I had already been quite heavily involved in many of the orchestral shows, like with Gatecrasher and Ministry of Sound, with the exception of the Pete Tong and Hacienda ones. What this done was give me a fairly deep understanding of what works more and what works less so, as far as transferring dance music into a live show. We are going out as a ten-piece band that includes a horn section, drummer, percussionist, two vocalists, bass player, guitarist and keyboards and then myself on decks. We’re calling it Judge Jules Live and in some ways it’s a variation on the orchestra theme events that I have been involved with. For this we are reinventing the songs, adding in a lot of solos. Whereas the orchestra themed events have mostly taken the songs and transferred them note for note, as a score, but for this project there’s a lot more recreation involved. I suppose what we’ve done can be described as funky jazzy, which isn’t surprising because the band is made up of jazz musicians. But they do have leashes on and there’s been a lot of planning put into the songs. We’ve been able to do something that includes adlibs too and so its not like the orchestral thing where all the musicians just sit down and there’s not much emotion put in. The musicians in the band are all based up north. They all know each other to a lesser or greater extent, and most have worked with one another at some point. We got together and they all really brought into it. We started off working with backing tracks and rearranged them and then we worked on what each musician could do. By having this approach, we were able to work out which track merited a trombone solo or a percussion solo. There was an element of trial and error, but we got somewhere by doing this. We have two very good vocalists. We realised early on that the songs we were doing needed two vocalists. There are a lot of harmonies going on in the songs that we’ve chosen. Not every track in the show has vocals on them though. Alongside being on the decks and spinning in samples, my role has also sort of been the musical director. I’ll also be the MC on stage too. I have tried not to interfere too much. We’ve managed to produce songs that sound very different to the originals but have retained the vibe and beauty of the original records. It’s been a matter of getting the balance right between my DJing understanding, for instance DJ land is about having something that, for want of a better description can be quite robotic, and the live sections performed by the band. We’ve been rehearsing the songs for about a year, and I’m convinced it’s working really well. We’ve met up about twenty times and each time that we have its been a matter of honing the songs. I have chosen some of my favourite tracks and the intention is to add more songs over time. We are kicking off with five dates across the UK but will be adding more as it evolves, and I will do this alongside my DJing.